Summertime means picnics, day trips and long, sun-drenched days outdoors. Unfortunately, it also means a boom in the number of stinging insects hanging around your garden, garbage, and food! Whether buzzing around the necks of soda bottles, perusing flowers or simply bugging people, stingers are one of the less pleasant aspects of summer. Generally, stinging insects don’t present much of a threat unless swatted or disturbed, but what if you find a nest on your property? A few bumblebees or even the odd wasp won’t present much of a problem; however, a whole hive is a different matter. 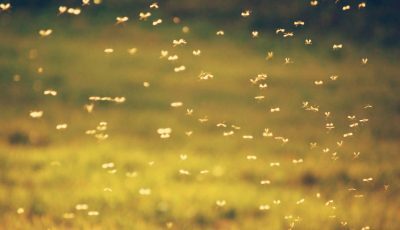 Stinging insects can be dangerous in large numbers, particularly for people suffering from allergies. If you find a nest in a frequently-used part of your property, it may be necessary to call in pest control. Before you can deal with your unwelcome intruders, however, you first need to get an idea of what you’re looking at. So, what’s the difference between a bee and a hornet? Are these wasps, or yellowjackets? Read on to find out how to tell the difference between the most common types of stinger! 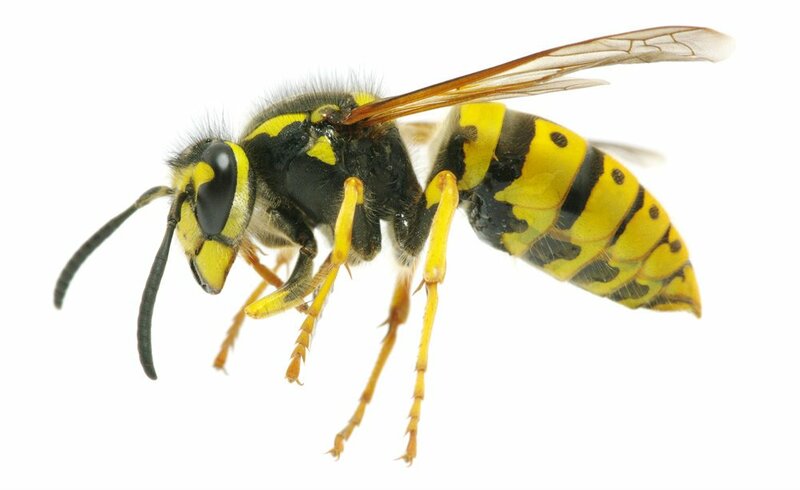 Wasps, bees, hornets, and yellow jackets; how can you tell them apart? When it comes to stinging insect identification, coloration, body type, and nesting habits are key for telling them apart. So how can you distinguish between different kinds of stingers? Size: 0.75 – 1.5 inches long. Color: Bumblebees have tan and yellow/orange markings, while honeybees are yellow and black. The appearance of the body: Bumblebees have a plump, fuzzy body. 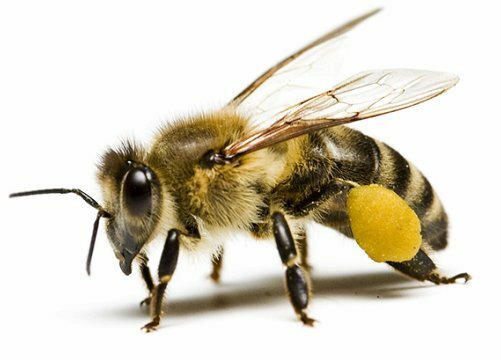 Honey bees are smaller, slimmer and less furry. All honey bees have barbed stingers, meaning they can use them only once. Unlike wasps, hornets, and yellow jackets, bees have a thick waist connecting the thorax and abdomen. 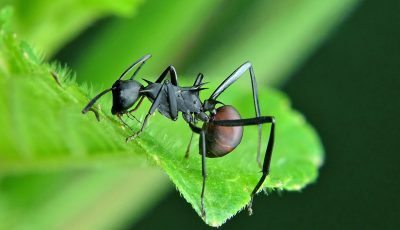 This makes them appear less angular than other stinging insects. Nesting habits: Honeybees will usually build their nests in enclosed areas such as hollow tree trunks, attics, and hollow walls. These nests (or hives) are made of a wax secreted by the worker bees and are mostly comb, a structure made from a series of interlocking hexagonal cells. Bumblebee nests are smaller by comparison and more likely to be found underground, possibly in abandoned rabbit holes. Should you call pest control? As important pollinators, bees are considered very beneficial for the ecosystem. It is, therefore, advisable to leave them in peace wherever possible. 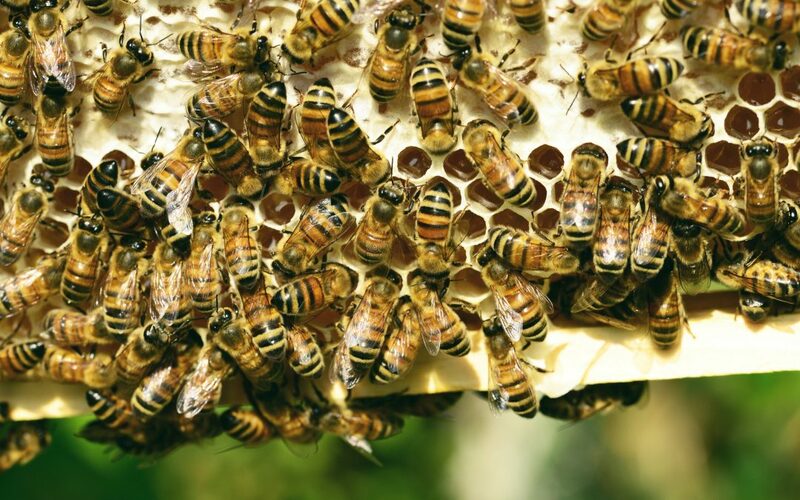 Bees are usually non-aggressive unless their hive is threatened, so if the nest is out of the way they shouldn’t present any threat to your household. If, however, the nest is in an area where you’re likely to disturb it, it’s a good idea to have pest control handle the situation. A professional beekeeper will be able to relocate the hive safely, without harming the bees. Size: 1 – 1.5 inches long. Color: The European hornet (the only true hornet in the US) has a brown body with yellow/orange stripes on the abdomen and a pale face. The appearance of the body: Like wasps, hornets have a segmented body and a skinny waist (a ‘wasp waist’), but are more robust and much larger in size. Hornets have smooth stingers, allowing them to attack multiple times. Nesting habits: A hornet’s nest is grey in color, oval shaped and made of a paper-like substance. These nests can be found outdoors, usually high above the ground. If you suspect there is a hornet’s nest somewhere on your property check the trees, shrubs, utility poles, chimneys and overhangs of outdoor buildings. Definitely! Hornets are aggressive and will attack if they consider you a threat to their nest. That smooth stinger also allows them to sting their victim multiple times, leaving painful welts. Hornets may also release a chemical when they sting, attracting a swarm from the nearby colony. 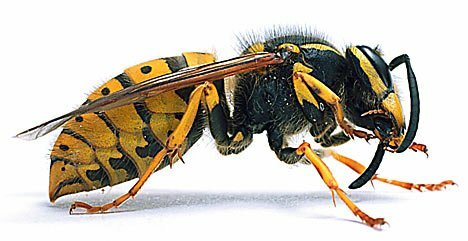 This can be especially dangerous for people with allergies, so it’s wise to have hornet infestations swiftly (and professionally) removed. Color: Black with yellow stripes. The appearance of the body: Wasps have a slender, segmented body with a ‘wasp waist’ and a smooth stinger. Nesting habits: Wasps construct their nests from a paper-like substance and usually build them in sheltered areas. Check the eaves of your house, opens pipes and the branches of any trees on your property if you think there may be a nest nearby! Wasp nests are often easily identifiable by their open combs, revealing hundreds of separate, hexagonal cells within. These are similar in appearance to the honeycomb structure of beehives. Wasps are considered beneficial to the ecosystem as they feed on nectar and insects; therefore, they often place a vital role in pest control. If left undisturbed, they are unlikely to sting – provided the nest is not nearby. If you do find a wasp nest in a frequently-used area of your property, however, you should absolutely have the colony removed. Like hornets, wasps can deliver multiple stings and will aggressively defend their nests. Size: 0.5 – 1 inches long. Color: Bright yellow and black bands on the abdomen, a mostly black thorax. The appearance of the body: Yellowjackets are a type of wasp, so their bodies are similar in appearance. They have smooth, segmented bodies with a ‘wasp waist’ and smooth stingers. However, their nesting habits are different from that of other wasps, and this is key to identifying them! Nesting habits: Yellowjackets, unlike other wasp species, usually build their nests underground. They may also build on the ground in enclosed structures, such as between the walls of your house. Nests are usually gray in color and can be as large as a basketball. Yes! Yellow jackets are known to be aggressive and highly territorial, repeatedly stinging anyone who gets too near their nest. They can sting multiple times and will often mark and pursue their victims, so it’s best to avoid their nests whenever possible. If you find one on your property, call a professional to have the colony safely removed. Once you know what type of stinging pest you’re dealing with, arranging to have them removed is easy. 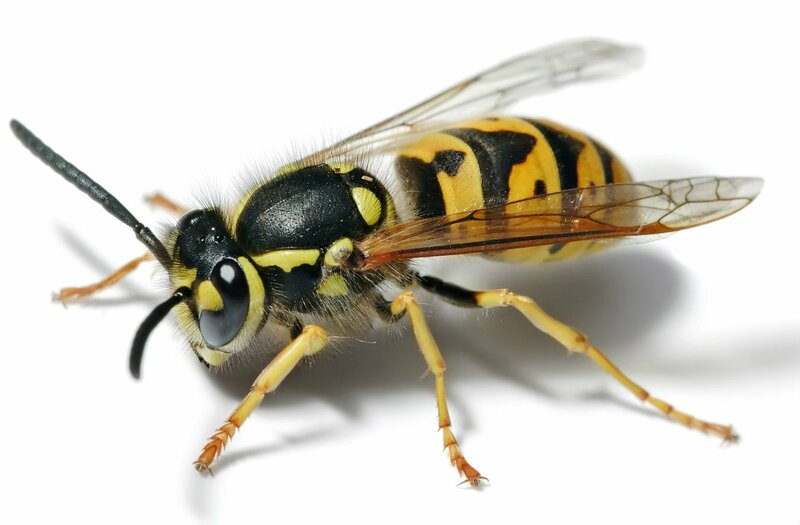 If you have an infestation of aggressive stinging insects on your property such as hornets or yellow jackets, call pest control to have the colony professionally removed. 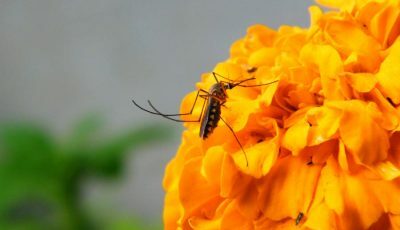 Or try a DIY stinging insect control method if you feel comfortable in your ability to get rid of the stinging insects that are bothering you yourself.